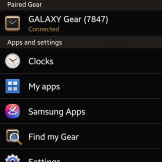 When announced, it was stated by Samsung that the Galaxy Gear (hands-on here) smartwatch would launch with 70+ different compatible applications through Samsung Apps. 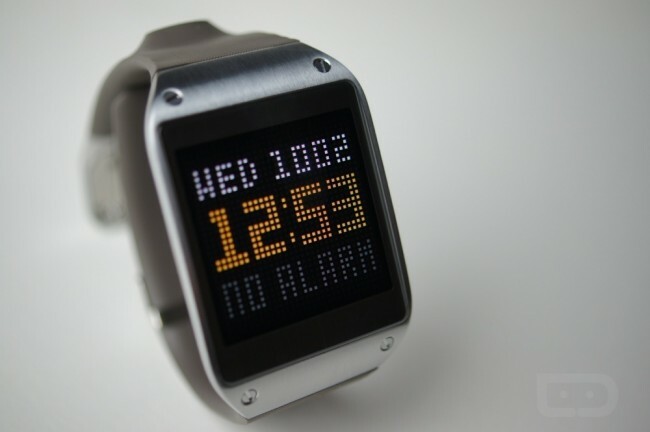 While we still have our review unit from Samsung, we wanted to highlight a few of the choices future Galaxy Gear owners will have, and how they work. 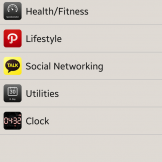 There are a few well-known third party app developers making their creations available for Gear owners such as Evernote, Path, Snapchat, Vivino and plenty more. 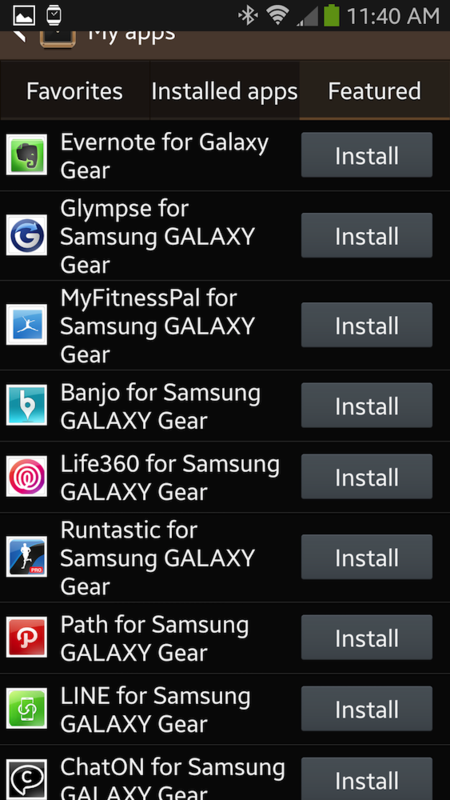 Downloading new apps to Galaxy Gear is very easy – open up your Gear Manager app on your Note 3 device, then hit the Samsung Apps icon inside. 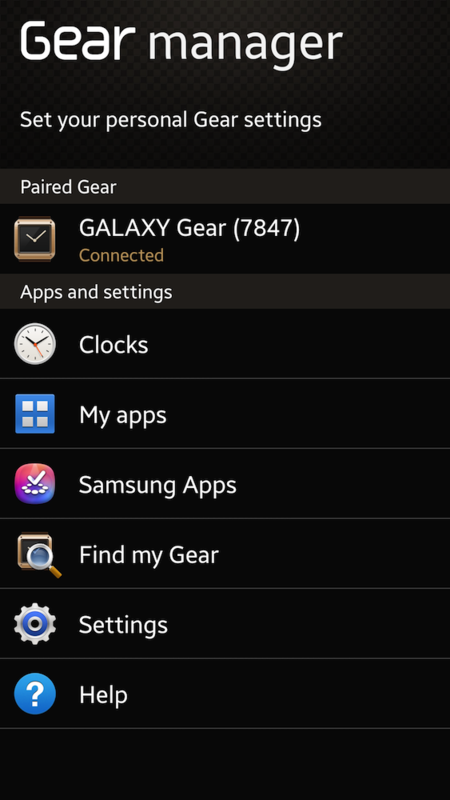 From here, you are met with the usual Samsung Apps store, but a special Gear filter has already been applied, that way you are only met with apps that are compatible with your smartwatch. 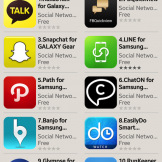 Down below are some screenshots of Samsung App’s user interface. 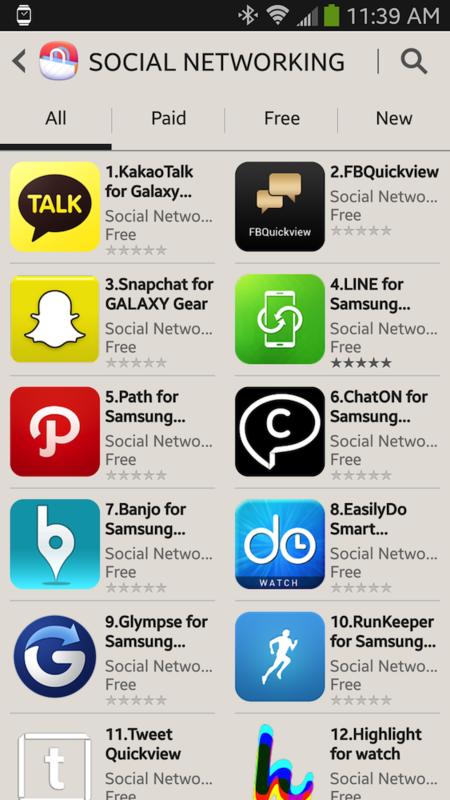 Once you choose which one you want to download, hit “Install” and it does the rest for you. 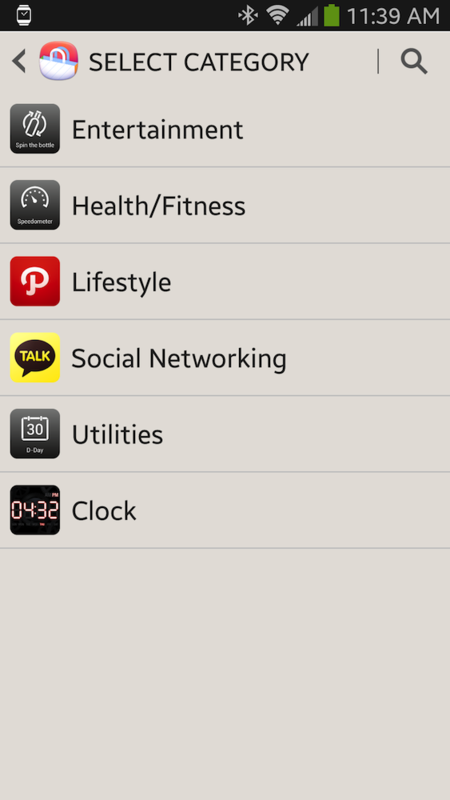 From there, you can either select to have the app placed in your Favorites or just in your regular “app drawer” on the Gear. 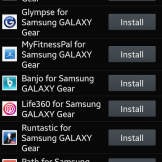 For a video demoing some of the available apps for Galaxy Gear, check out the video below. If there is an application in particular you would like us to highlight, let us know down below.